Do you and/or your staff spend a lot of time and resources on managing phones? Do many patients call you right after reminder notifications go out? Do patients call back without listening to the voicemail and create an awkward moment of trying to find out who they are? At Vital Interaction™, we believe when it comes to patient care, time spent on the phone is time that could be used in a much better way: serving and spending quality time with patients. That’s why we created Callback Recognition and Patient Chat, two patient-centered tools that enable you and your staff to easily connect with patients, yet spend as little time as possible making and taking calls. With the extra time, you can focus on making sure each patient is heard and taken care of in a personal way. Read on for a closer look at these two features and how they can help to improve patient satisfaction and overall care — and your bottom line. Many of you are already familiar with our Patient Chat tool, which launched in May. This zero-cost tool enables your office to text with patients concerning upcoming appointments, test results, newly available appointments, referrals, and anything else that might come up. Additionally, you can even use Patient Chat to send PHI consent forms. Much like the Patient Chat tool, our Callback Recognition feature is designed to help your practice further streamline communication with patients in this mobile-first era. 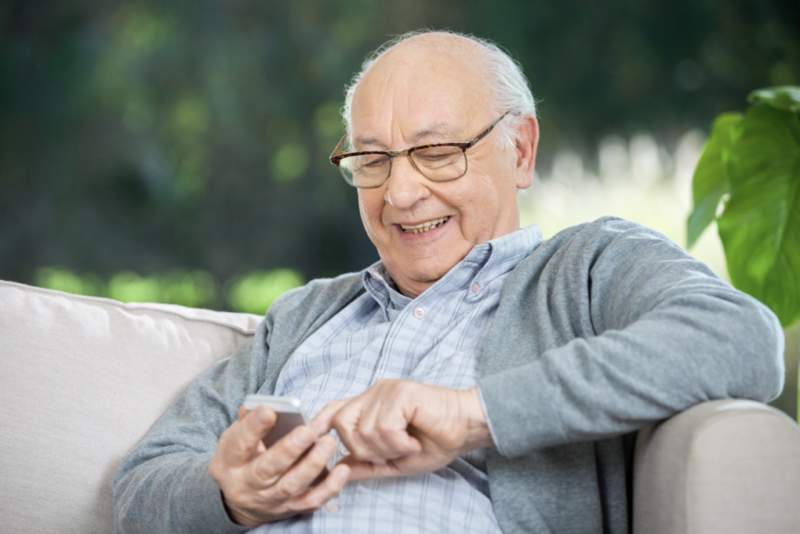 Specifically, the Callback Recognition feature allows patients to call back the number that texted or called them to remind them of their upcoming appointment. When a patient calls the number, our system automatically identifies the number, matches it to that patient, and plays the same appointment reminder for them. Once the patient listens to the reminder, he or she can then choose to speak to a staff member if he or she still has questions. Let’s take a look at three real examples of practices who have benefited from Vital Interaction™’s Callback Recognition feature. In the month of May 2018 alone, a Houston-based eye clinic received more than 3,000 incoming calls. According to our calling software, the average length of one of those calls was about 1 minute and 19 seconds. With such a short average time, we can assume that most patients calling in had their questions answered by the automated system. There is no way to know how much time these calls would take a real human to handle; however, we can conservatively say that the Callback Recognition feature saved this particular clinic 65 hours of labor — roughly $1,000 — in just one month. Another eye clinic, based in Jackson, Mississippi, received around 600 calls in May this year. With each call at about 1 minute 20 seconds each, we saved them more than 13 hours in labor costs. An OB-GYN located in Irvine received about 900 phone calls in May. The Callback Recognition feature successfully saved the practice an average of 1 minute and 23 seconds per call, saving the practice more than 20 hours of labor. Our clients frequently tell us their patients appreciate the ability to text and get an actual response from a person. And with all the phone lines opened up, those patients who truly prefer a call, or maybe don’t have access to texting, can call you with much less hassle. For the majority of patients, however, Patient Chat and Callback Recognition make it easier than ever to reschedule, ask a question, or inform the practice that they’ll be late. Even better? Your staff will appreciate the time savings that comes from texting, which takes a fraction of the time that calling does. Can you really afford to not start using Callback Recognition and Patient Chat? Let us help you get started today! Is your medical practice equipped with the right tools for streamlining patient communication? Call (512) 487-7625 to learn how the Vital Interaction™ system can go to work for you and improve patient satisfaction and care.